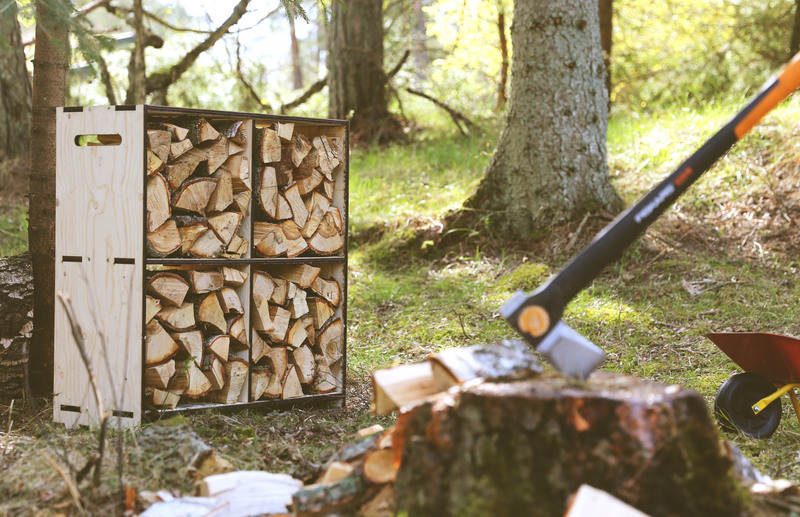 An elegant way of storing your firewood so it fits into the environment and keeps the wood dry, even in rainy weather. 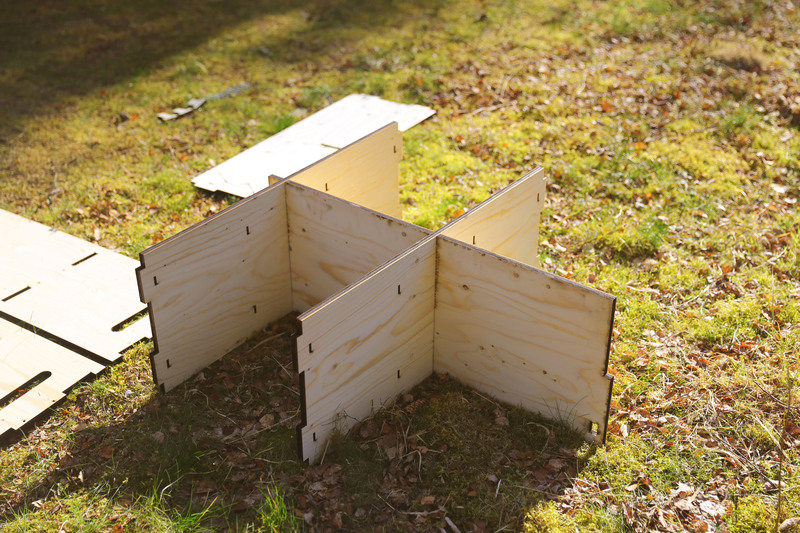 We have designed this simple solution in 12mm construction plywood so you can assemble it yourself. Spikes at the bottom ensure it can stand firmly on soft surfaces. 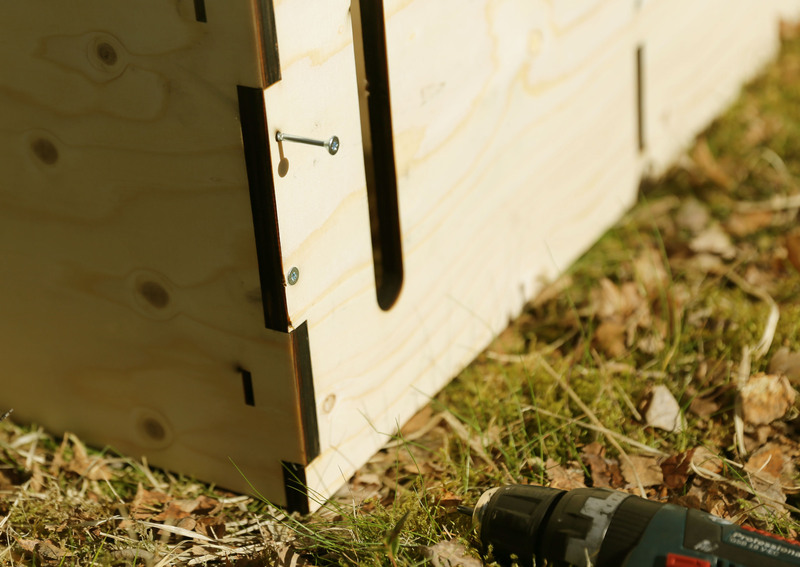 In your local DIY store you can find screws for assembly and paint to make sure the wood can withstand the outdoor climate. 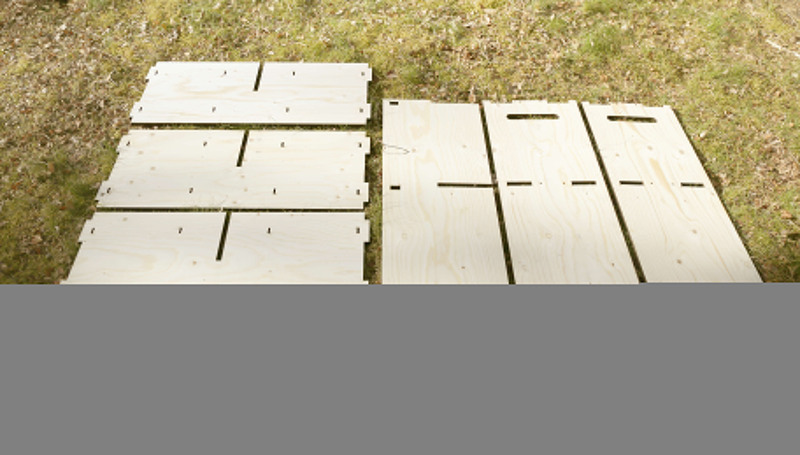 We recommend the shelf be at least given a protective wood coating so it can withstand being outside.